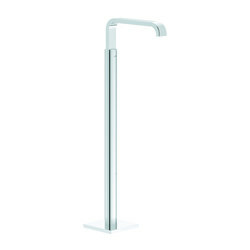 The revolutionary GROHE Watersystems have finally done away with the two things troubling humanity for thousands of years: carrying drinking water and waiting for it to reach the right temperature. 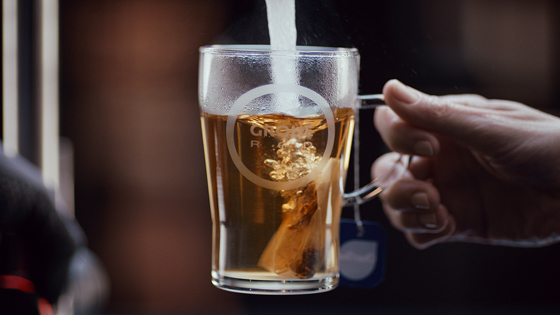 Now filtered, chilled, sparkling, and boiling water are instantly and effortlessly available. 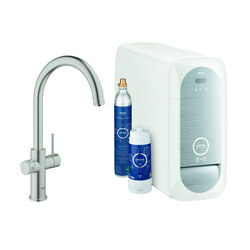 Wouldn't it be nice if our drinking water came freshly filtered directly from the tap in the kitchen? And wouldn't it be even more convenient if we could carbonate it, cool it or heat it up to 100 °C at the push of a button? This is now made possible by GROHE, the German manufacturer of sanitary fittings, with its two Blue Home and Red Watersystems. 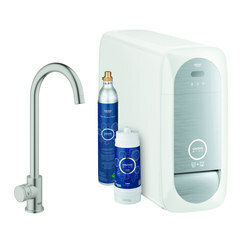 Until now it has only been possible to avoid having to schlep water bottles from the supermarket to the home with special devices for filtering and carbonating tap water. If you add a kettle to boil the water, it all takes up a lot of space on the kitchen worktop. 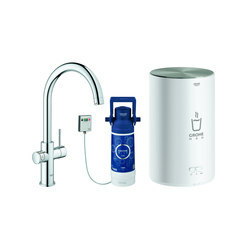 However, everything can now be done in a much more elegant and space-saving style with the GROHE Blue Home Watersystem, which filters, cools and, if desired, adds CO2 to the tap water, as well as the GROHE Red Watersystem, which supplies boiling water at 100 °C without any waiting time. With Blue Home, innovative push buttons with LED display enable you to choose between still, medium or sparkling water, depending on your individual taste. 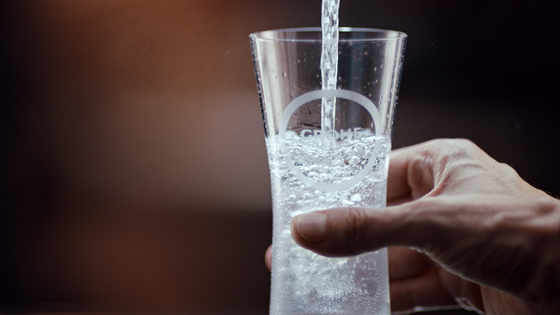 The freshly filtered drinking water flows straight into your glass. 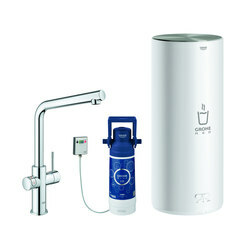 The tap contains two separate pipes, one for unfiltered tap water and one for filtered drinking water. Developed in cooperation with BWT, the filter removes even the smallest particles and at the same time leaves important minerals in the water. On request two additional filters are also available, one of which increases magnesium content while the other is specially adapted for soft water. 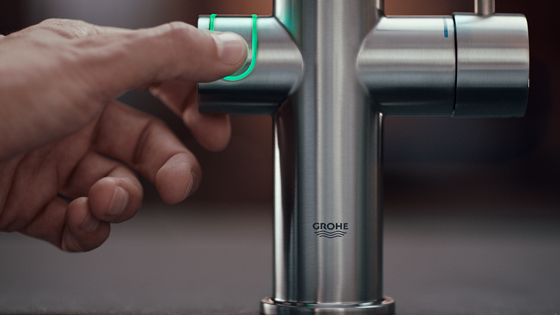 GROHE also offers an uncomplicated solution for those who don't want to wait for the water to boil for their morning cup of tea, evening pasta or baby bottle, and wish to save energy at the same time. 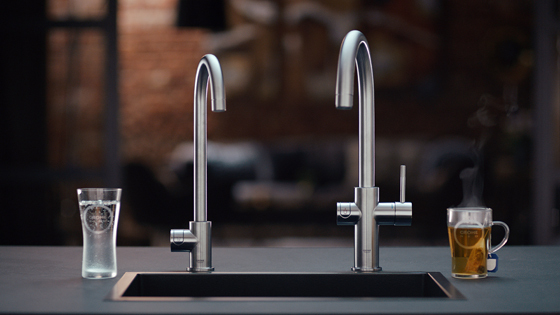 GROHE Red combines tap and kettle in a single product and delivers filtered water heated to 100 °C straight from the tap. With this approach exactly the required amount of hot water is always used, which saves both electricity and water. Of course special care must be taken where boiling water is involved, especially with children. 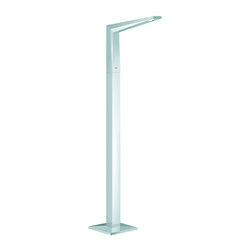 A TÜV-tested child safety lock therefore provides extra protection. 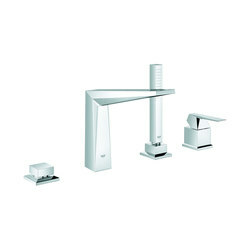 GROHE offers both systems with three different high-quality taps in a timeless design. 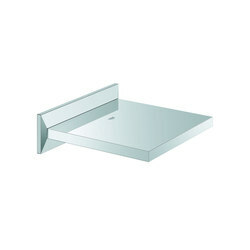 All have a spout swivelling through 150° and are optionally available with super-steel or chrome surfaces. 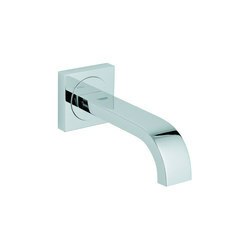 If an existing tap is not to be replaced, Blue Mono or Red Mono can be installed as a stylish and functional addition. It is also possible to combine both systems. 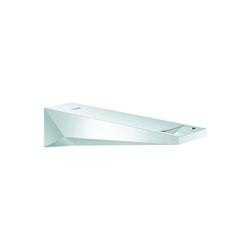 They can be integrated into almost any kitchen in a space-saving manner, in that a 30-cm wide kitchen cabinet is sufficient to install the GROHE Blue Home cooler or boiler. Once installed, the GROHE Watersystems not only save time and money, but also resources – thus protecting the environment. For example, it normally takes seven litres of water to produce a one-litre bottle of drinking water. To this we need to add the energy consumption and CO2 emissions generated by production and transport. 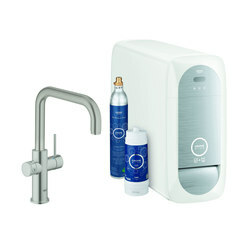 With GROHE Blue Home these CO2 emissions can be reduced by 61%, as a study implemented by the University of Göttingen on behalf of GROHE has shown. 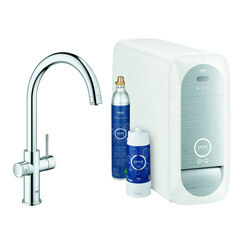 In addition, this system renders the purchase of plastic bottles completely superfluous. Over the years we have become far too accustomed to the supposed practical convenience of plastic, which has led to a massive environmental problem. Plastic bottles take hundreds of years to degrade, and pollute our seas to a staggering extent. In this respect we therefore need to rethink our actions more than ever. 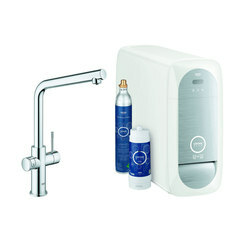 With its Blue Home and Red water systems, GROHE is offering functional and high-quality solutions which come in the company's customary stylish design while combining sustainability with convenience.